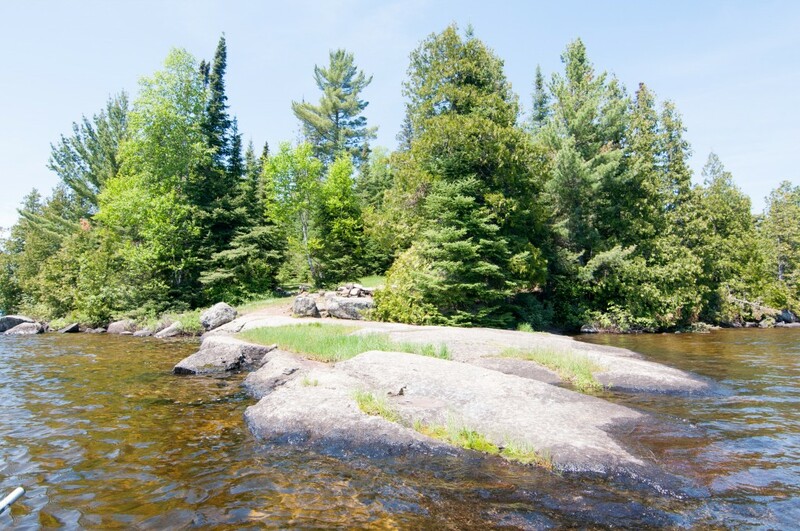 Winchell Lake is a long narrow lake deep in the heart of the Boundary Waters. 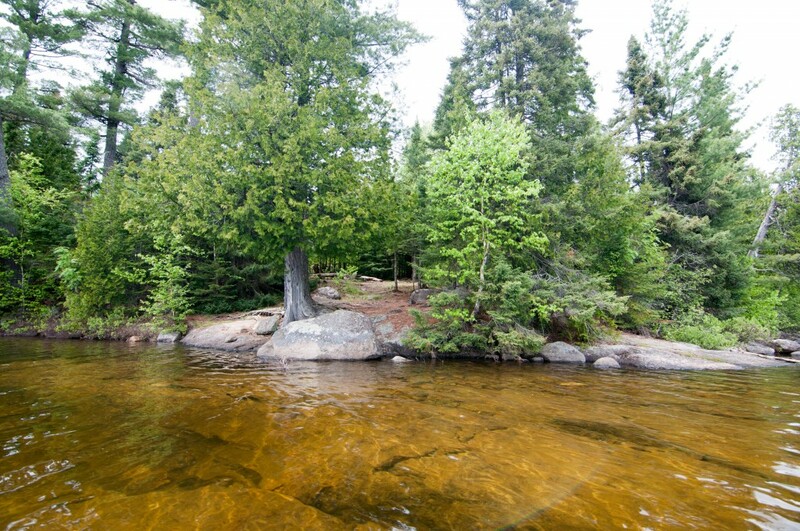 It is most commonly accessed from either Brule Lake from the south or Poplar Lake from the north. 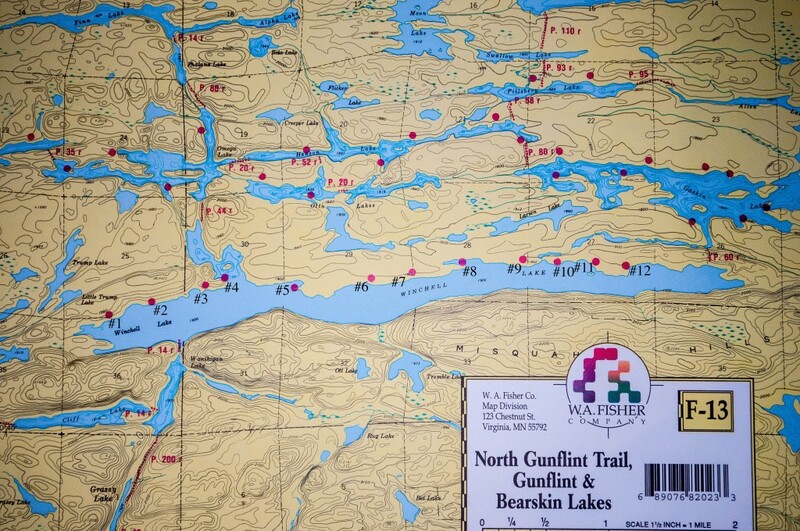 All twelve campsites are on the north side of the lake and in general are above average campsites, with a few excellent one. 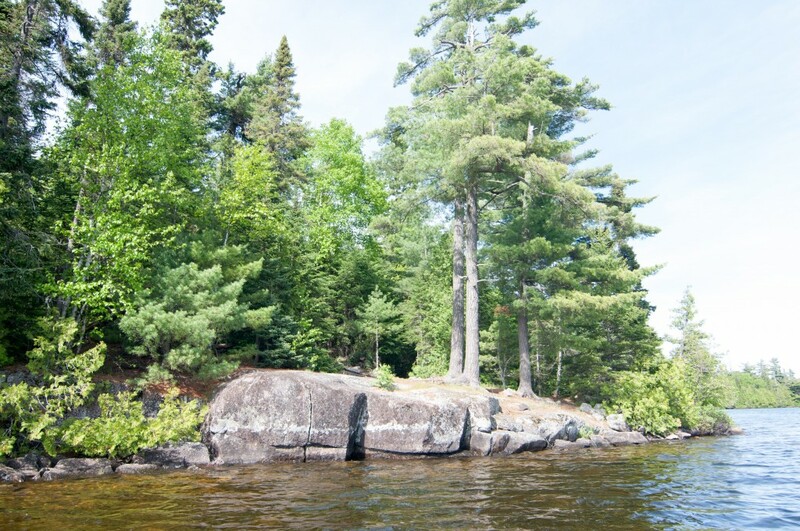 Based on its distance from entry points and the large quantity of sites, it is typically easy to find an open spot on the lake. 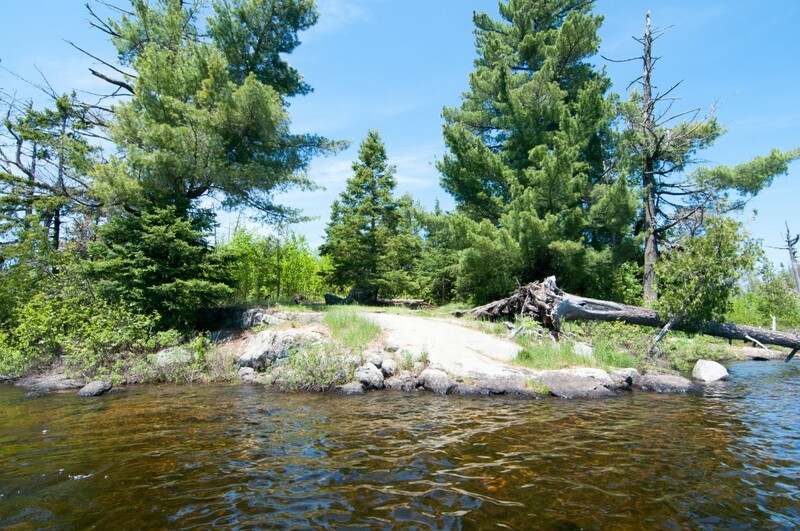 Fishing opportunities include Lake Trout, Northern Pike, and Smallmouth Bass. The Pike in the lake though relatively low in numbers run larger than average, and there is also an abundance of Lake Trout to be had, especially early in the year. Winchell Lake is a great spot to spend a few days. 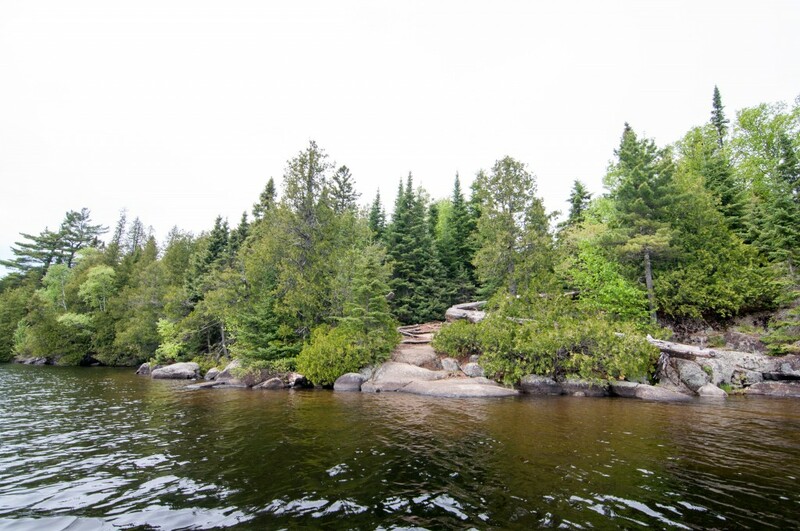 The first spot on the lake is a solid choice. 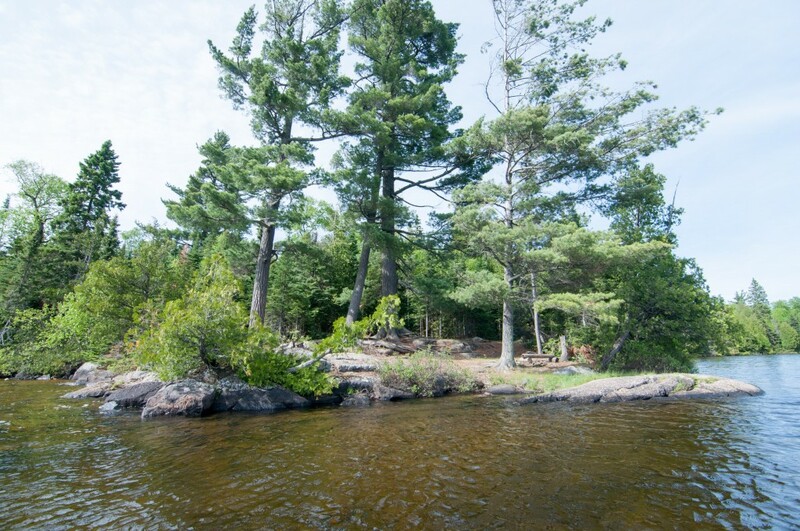 It offers well rounded amenities and will feel quieter than most sites as there is no way off the lake to the west. 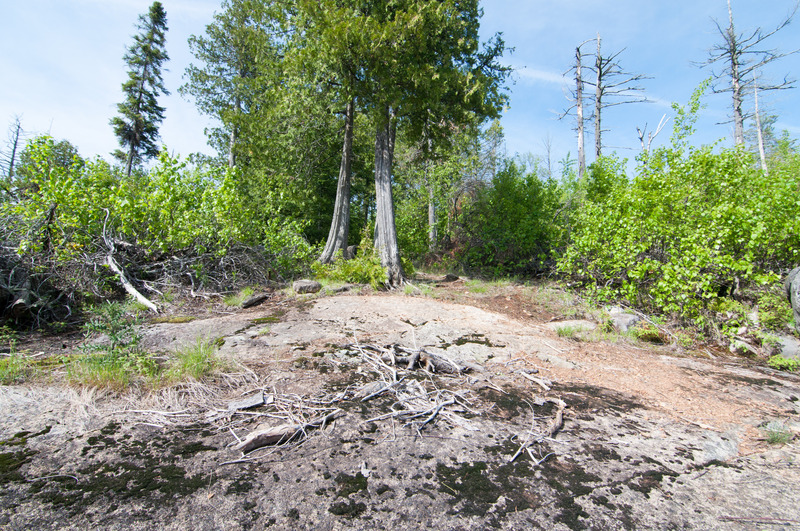 There are not very many nice things to say about the spot directly to the north of the Wanihigan Lake portage. 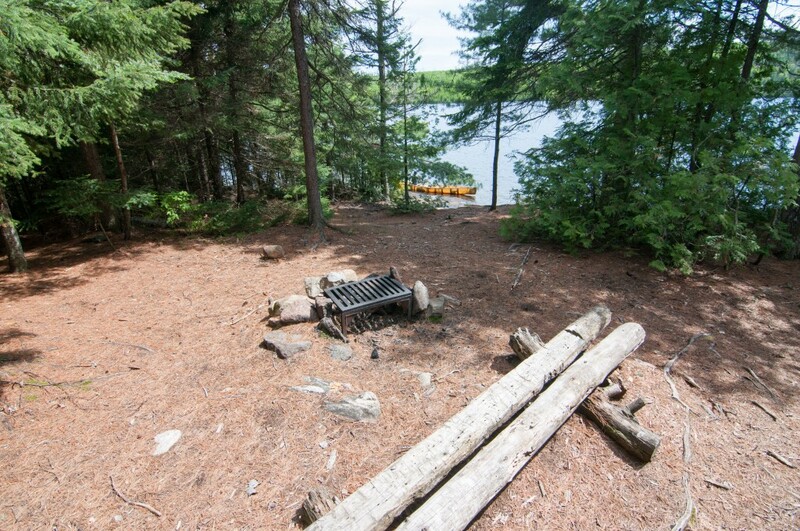 It has a small steep canoe landing that leads up to a decent fire grate area. There is only one solid tent spot, and many old large trees down in the campsite. 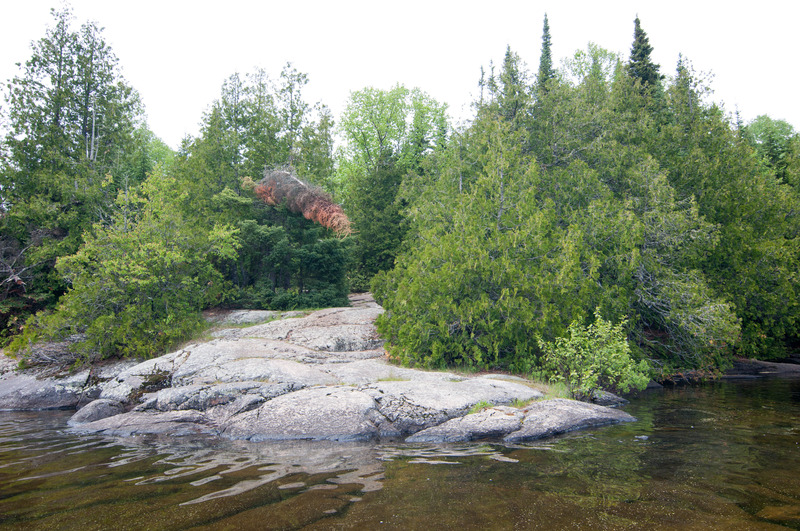 The site that features a massive and unique rock point is one the nicest on the lake, and easily one of the nicer ones in the area in general, especially for larger groups. There is tons of room at the back of the site for tents and hammocks, the only downside is that the fire grate area is on the backside of the prominent rock feature, but this probably helps on windy days; all in all though this is a very cool spot. 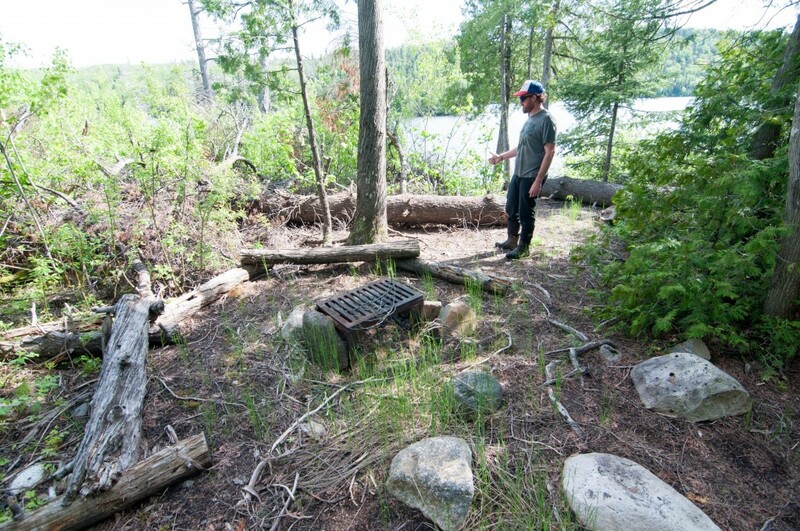 The campsite to the south of the portage from Omega Lake has a nice landing but a lackluster main camp and fire grate area. 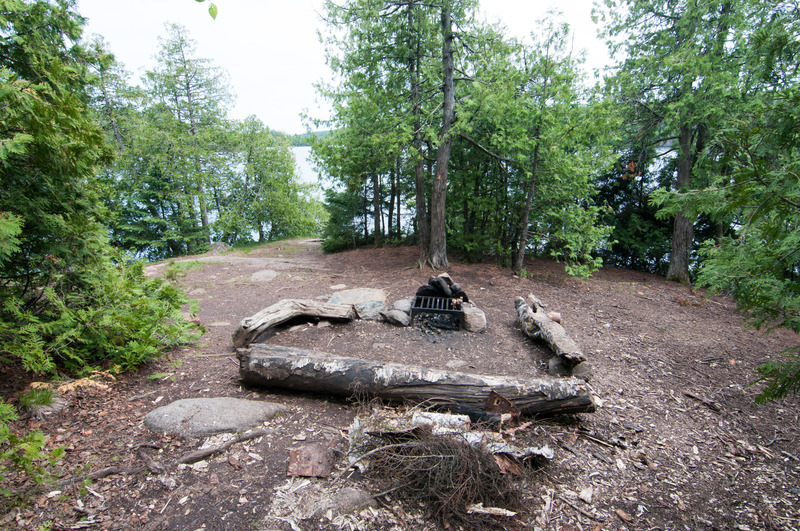 The main issue is the lake is pretty obstructed(which some people like) and the tent spots are small. 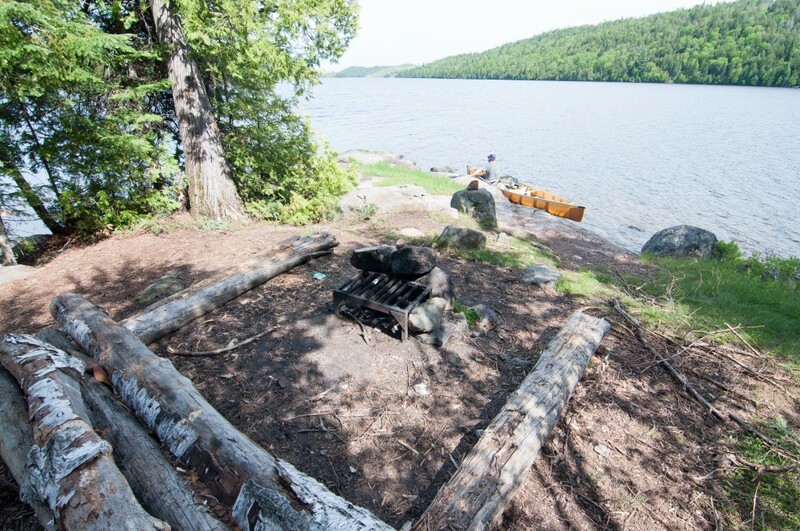 This is another excellent campsite similar the third spot. 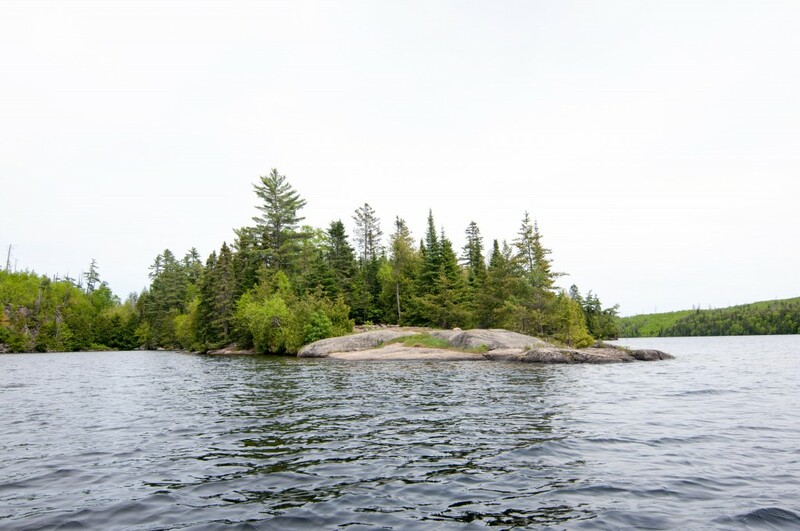 A prominent rock point can be seen from a long way off and offers an easy landing and some of the best views on the lake from the campfire, especially for sunsets. 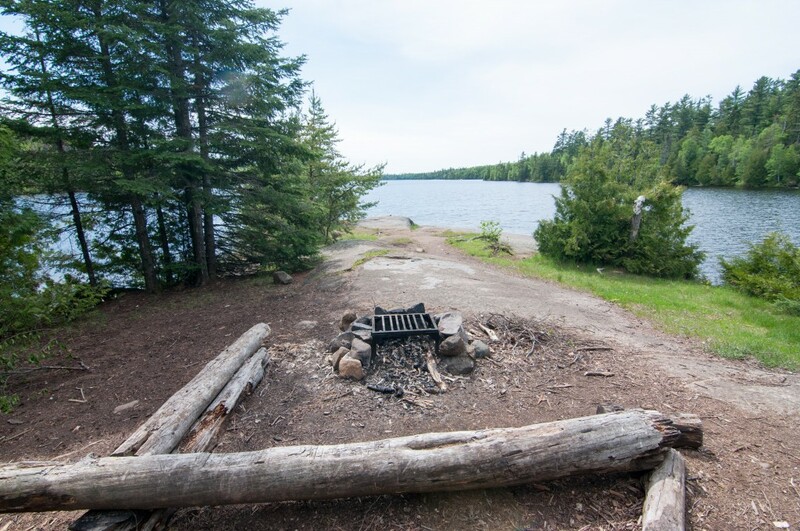 This is a pretty standard BWCA campsite. If one could only use a single word to describe it: serviceable. 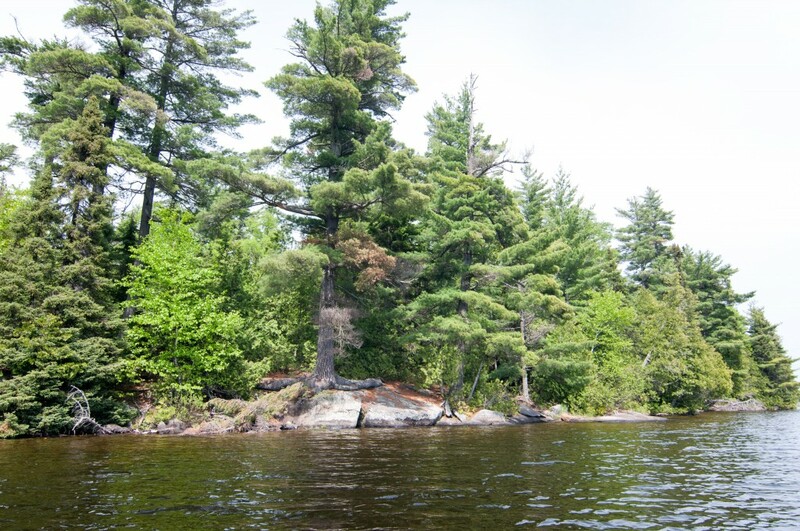 The site in the middle of the lake has a lot going for it, except the lack of decent spots for tents. 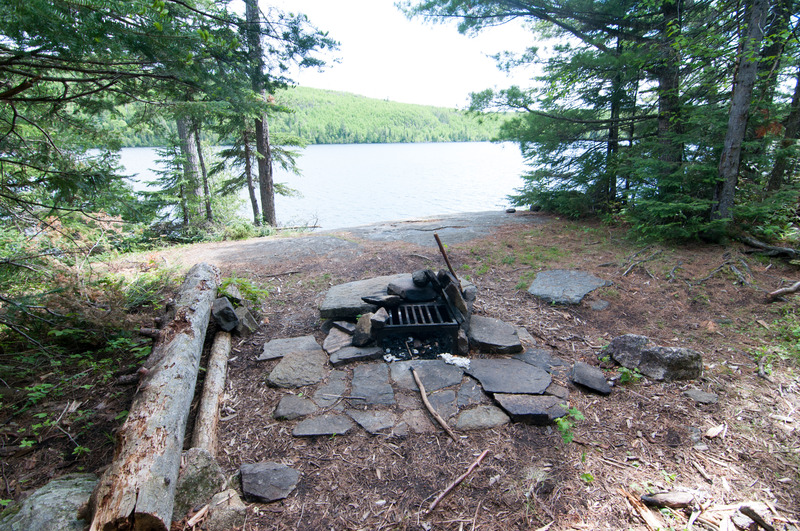 It has a nice landing, and a nice fire grate area, with a little homemade hearth. Unfortunately it is on a bit of a slant and has limited tent options. 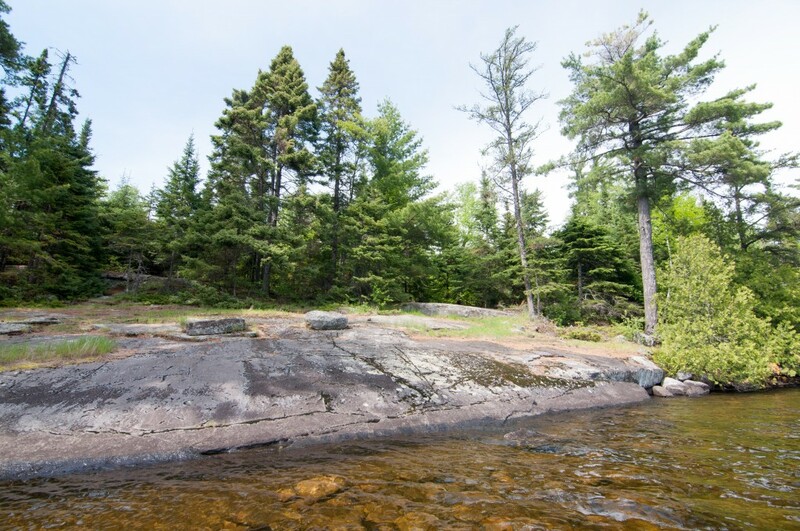 This is another superb site with a nice rocky point for fishing, lounging and landing your canoe. It is very obvious this site gets heavily used, and though there are at least three tent pads, only one is truly flat. 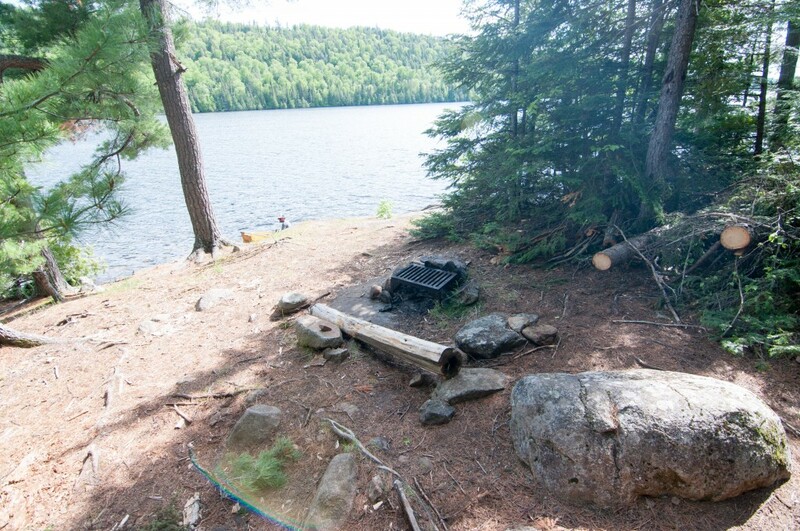 This campsite seems much nicer from the lake than it is. The landing is tough and the fire grate area is pretty small. 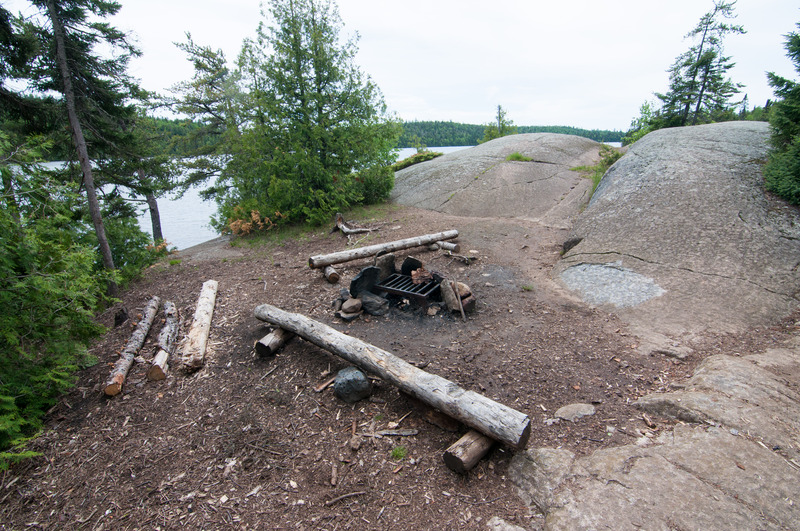 There are two nice tent pads and a nice sitting rock, so it does have some positives. 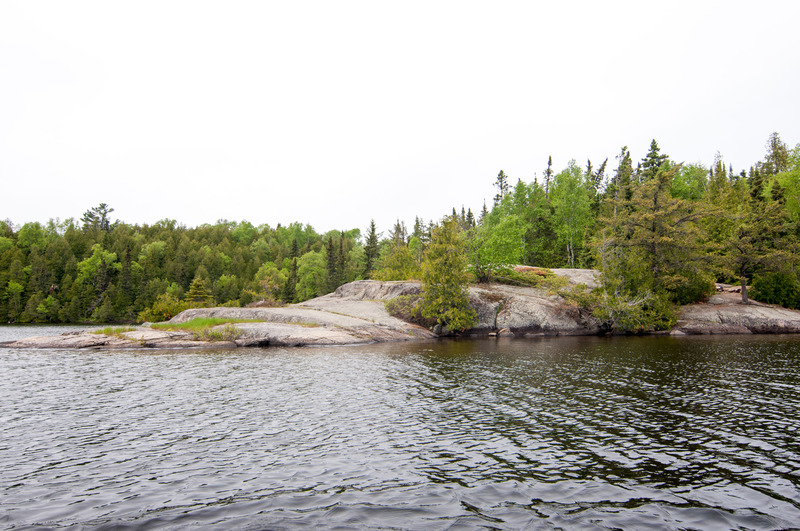 There is yet another exceptional site before the end of the lake. 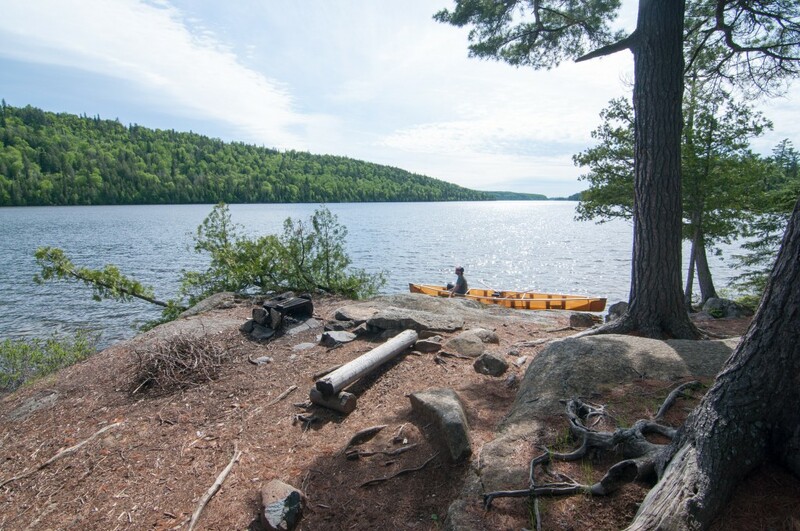 Expansive views in both directions from almost every where in camp, multiple nice access points for loading and unloading the canoe, nice flat tent pads and a little bench down by the lake for pondering make this a tough campsite to beat. The only down side could be on windy days there is not much in the way of protection. 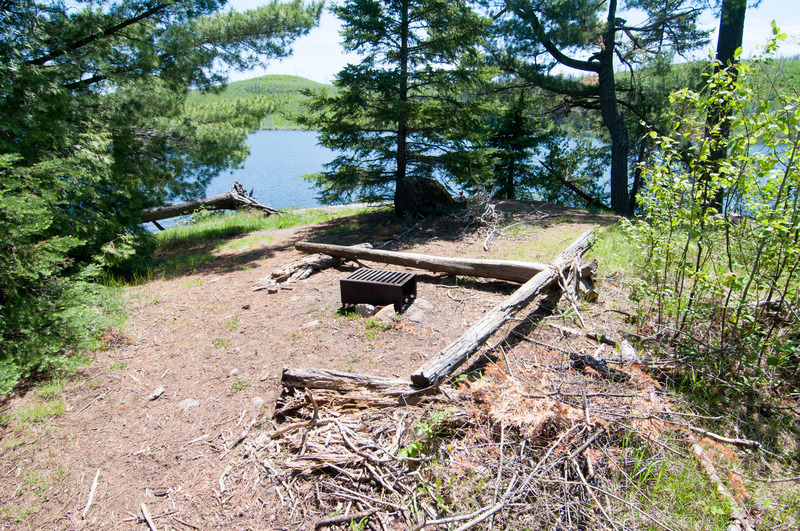 This spot is on a short list of the worst campsites in the BWCA. If it were not for the really bad ones though the nice ones wouldn’t seem as nice(there’s your silver lining). 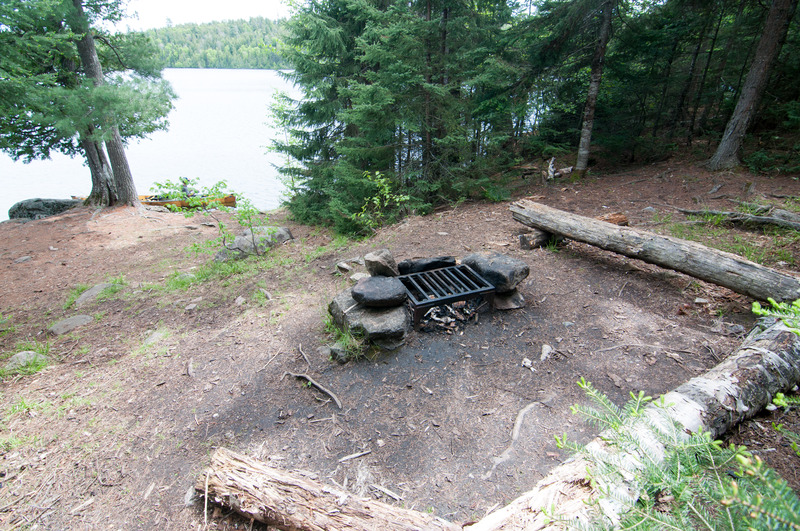 The landing is actually OK at this spot but it still deserves an F because it’s a landing for a terrible campsite. It’s in an old burn, has no discernible tent pads and weeds growing in the fire grate. Stop by for a laugh. 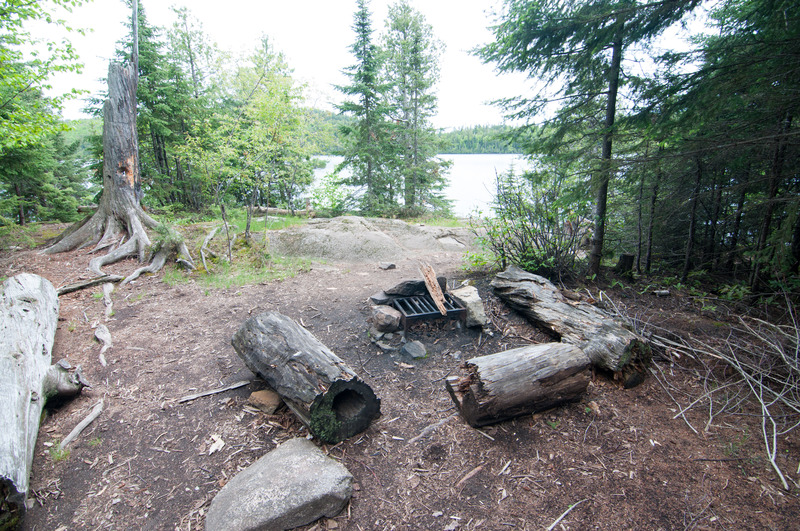 The last campsite before the portage into Gaskin Lake was probably nicer before fire and wind changed it. It has a decent landing and pretty nice fire grate area, but the overall feel to this spot is a little exposed and shoddy. Plenty of firewood is available!